Monica Skanes, an Associate with Whiteman Osterman & Hanna LLP, the Capital Region’s largest law firm, was recently appointed as the Secretary of the Labor and Employment Law Section of the New York State Bar Association (NYSBA). 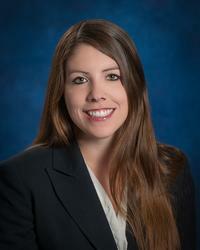 Ms. Skanes also serves as a Co-Chair of the NYSBA Section’s Communications Committee. An attorney with Whiteman Osterman & Hanna since 2011, Ms. Skanes focuses her practice on labor and employment law, education law, and litigation, and is the President of the Capital District Chapter of the Labor and Employment Relations Association. Additionally, Ms. Skanes volunteers for Big Brothers Big Sisters of the Capital Region to assist with event planning, and previously served as a board member of the Empire State Youth Orchestra. Ms. Skanes is a frequent speaker on labor and employment law matters and specifically has presented on preparing employers for New York’s Paid Family Leave Law.